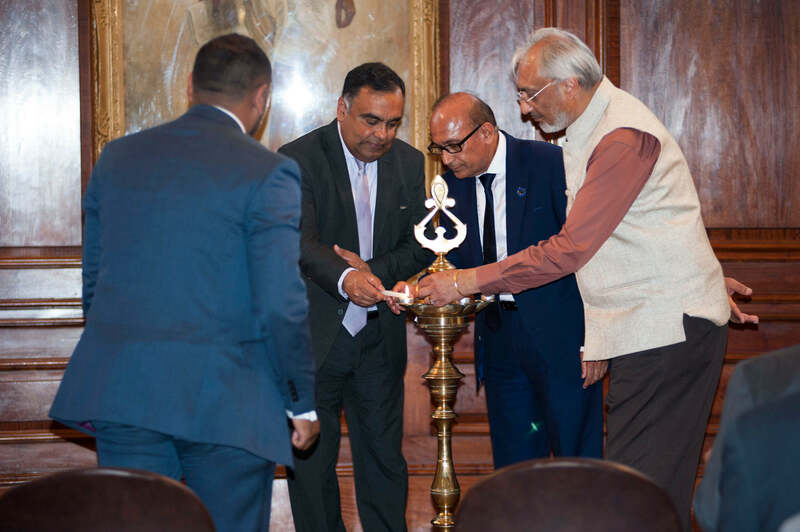 The BAPIO India-UK Healthcare Policy Forum was launched at the Indian High Commission in London on 8th August 2018. It will harness the contribution made by an estimated 60,000 Indian-origin doctors to the UK’s state-funded National Health Service (NHS) and influence healthcare initiatives in both countries. “I am sure this initiative will go on to make a significant contribution to the healthcare sector in both countries, particularly as people of Indian origin play such an important role in healthcare delivery in the UK,” said India’s High Commissioner here, Y.K. Sinha, who also supported the BAPIO in setting up the new forum. 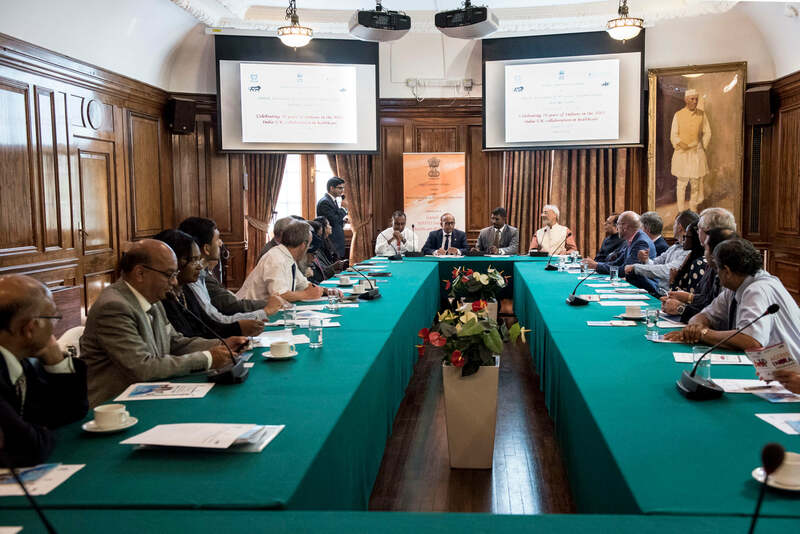 The British Association of Physicians of Indian Origin (BAPIO’s) new forum is aimed at developing a network of experienced clinicians, policy-makers and entrepreneurs to provide advice and practical support to the health services in the two countries. It will also serve as an important vehicle in implementing the slew of healthcare policies, shaping themes for debate in the two countries, encouraging bilateral training programmes for healthcare professionals as well as strengthening healthcare-related infrastructure through greater two-way investment flows. “As this new forum comes up, we need to look beyond just healthcare issues to explore ways to nurture and foster this very special India-UK relationship. We really need to appreciate doctors of Indian origin as influential members of the communities they live in, who can play a significant role in advising the government and promoting bilateral ties,” said Sinha. 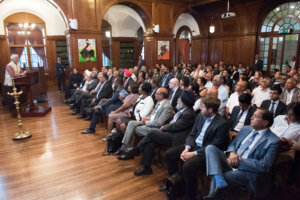 BAPIO, set up in 1996 as a representative body for doctors from the Indian sub-continent to promote diversity and equality in the NHS, vowed to closely work with the Indian High Commission in London to ensure the new forum addresses issues of concern within the India-UK bilateral space. BAPIO President Dr Ramesh Mehta hailed the initiative as an excellent opportunity to boost healthcare ties between the two nations. “We need to be equal partners in this initiative, because there is lots to learn on both sides. India can benefit from the UK’s skills in governance, monitoring, leadership and ethics and the UK can benefit from aspects such as wellness and Yoga in India,” he said. The creation of the forum coincides with the ongoing 70th anniversary celebrations of the NHS and India’s own healthcare drive as part of the National Health Protection Scheme, dubbed as Medicare. 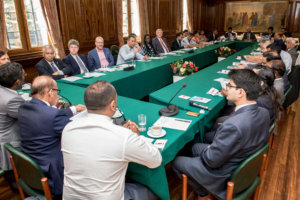 The forum held its first roundtable discussion at the Indian High Commission this week, attended by stakeholders from across the NHS, healthcare companies and medical associations such as the General Medical Council (GMC). 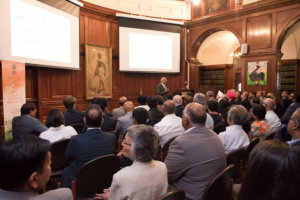 “The next generation doctors of Indian origin, born and trained in the UK, have natural affinity for India,” said Dr Dev Chauhan, chair of the new forum. He mentioned that a proper workforce planning beneficial to both the countries, public health to promote greater awareness of blood and organ donation among South Asian communities, and working with the community to ensure appropriate infrastructure for elderly care are the three key objectives of the new body. Representatives from the Uttarakhand government, who were on a UK visit, also made presentations on the state’s attractiveness to British investments in the healthcare infrastructure sector.